When investing in a rental property, there are so many things you must do. You must have inspections, insurance and meet several other regulations before renting your home. However, beyond the initial investments of time and money, the maintenance of the property, especially the structure, is your responsibility. If you stay on top of everything, then that shouldn't be a problem, but if you fail to have one annual inspection of your plumbing, HVAC or roof, then you may open yourself up to mostly avoidable disasters, like mold infestations. Mold prevention falls squarely in the realm of possibility; it only takes persistence in maintenance routines. Water damage is the leading cause of mold growth, and most often, it can be prevented. Your plumbing should be inspected twice a year, at the beginning and end of winter. The colder months can lead to frozen pipes, weeping lines and at worst, burst lines. Inspections allow you to take notice and fix something right away, rather than letting it fester. One of the best mold prevention tips is to control the humidity levels in your property. Every house and building likely has areas that are more humid than others – basements and attics come immediately to mind. Install dehumidifiers to help maintain moisture consistency throughout your property. As mold growth depends on moisture, be sure that you are adequately ventilating the areas of your home that need it most. Kitchens, bathrooms, attics and laundry rooms are leading causes of increased moisture and without proper venting that dampness will contribute to mold development. A mold remediation specialist in the Fleming Land,FL, area is good for more than just removal and remediation. He or she can help you find the areas of your property where mold is likely to develop and can help you come up with a prevention plan. The key to mold prevention is persistence. You need to follow maintenance and inspection schedules and fix any problems that you see before they manifest into significant disasters. Storms can leave severe Water Damage to your property in Jacksonville, FL. Storm restoration has become a common activity as incidents of storm damage continue to increase. Natural disasters have been on the rise occasioned by human activities that have played a role in promoting climate change. Common natural disasters that can lead to storm damage include tornadoes damage, hurricane damage, river flooding, ice damming, ice damage and snowstorms. A flooded home often suffers from roof leaks, roof damage, structural damage, and water damages due to flooding and excessive ground water. Professional storm restoration services will help you with home restoration after flooding occurs or your home suffers a wind damage, a hurricane damage, or a ice damage. A flood pump helps you pump out flood water or excess ground water quickly. They will also need to fix frozen pipes that prevents water from flowing out and ice dams that may lead to roof leaks. Below are the various steps that are involved during professional storm remediation. Make an emergency contact with your service provider. After a flood water or excess ground water hits your home, the first step of water restoration is making an emergency call to your local water restoration company. You should be able to inform the water restoration company of the level of flood water or ground water in your home to enable them prepare sufficiently for the storm remediation. Local storm restoration companies provide their services on a 24/7 basis and you can call their offices at any moment. 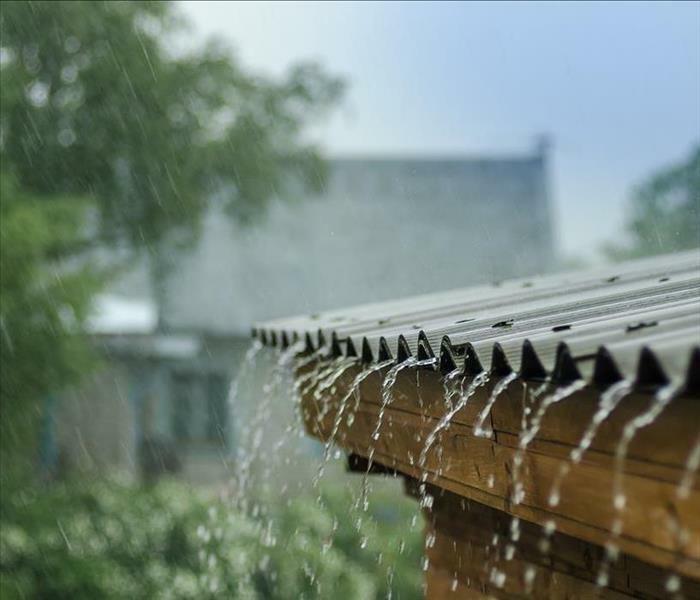 Roof damages due to storm damage can lead to roof leak and you will need to seek emergency roof repairs. Ensure that you are safe from any potential risks. Storms comes with various risks that can threaten your safety and you need to take preventive and precautionary measures. The first source of risks in case of a flooding is the power sources in our home or business and you need to ensure that all power sources are switched off immediately. The home restoration company should determine the river flooding levels, amount of flood water, wind damages, ice damage, hail damage, and river flooding levels at the beginning of the storm remediation. A flood pump can be helpful in getting rid of flood water or excess ground water and eliminating the risk of water damage for your households. In case there are broken pipes or frozen pipes, they will need repairing in addition to fixing any roof leaks. You should document evidence of storm damage. You must document evidence of water damage, ice damage, hail damage, wind damage, and roof damage. Documentation of evidence is important, as it is important for insurance claim forms filling. In case you used a flood pump to get rid of water, you can take photographs, record videos, and record any relevant audios. Ice dams can lead to ice damming and this can lead to frozen pipes that are beneficial as they can cut water supply. Notify your insurance agent of the storm damages. After you have done documentation of storm damages, you should notify your insurance agent so that they can initiate the process of compensation. In case the insurance company needs to carry out an inspection, they can do it as soon as possible when the state of your damaged property is still intact. You can seek Federal Disaster Assistance when in need of extensive storm remediation. The federal government has an elaborate program to help those affected by river flooding, wind damage and other forms of natural disasters. The federal government provides subsidized loans to allow victims restore their homes by paying for minor services for roof repairs and water restoration. This makes it easy for you to cope with ice damming, flooding, hurricane damage, and hail damage. Management of ice dams, wind damage, hurricane damage, hail damage, and roof damage. Home restoration after a flood will involve minor ad major repairs such as window and door repairs, household replacement, restoration of water and electric supply, and checking for ice dams. A home restoration process should begin as soon as possible to minimize damages from hail damage and potential roof repairs. You should ensure that frozen pipes due to ice damming and frozen dams are heated up to restore water supply. In storm restoration, dehumidifiers are used to absorb water moisture and water suckers to allow the restoration personnel to pump water out using flood pumps. A roof repair is also important in fixing minor roof leaks. If you have any questions, please give us a call at (904) 269-9282. SERVPRO of Jacksonville Westside/ Orange Park can respond inmediately to restore your home or business in case of Storm Damage. Is Buying In to SERVPRO Right for Me? If you’ve ever dreamed of being your own boss, then chances are you’ve done a little research and know how challenging starting your own business can be. Fortunately, there’s another way to get in on the ground floor of entrepreneurship - franchise ownership. Owning a SERVPRO franchise can be the perfect choice. 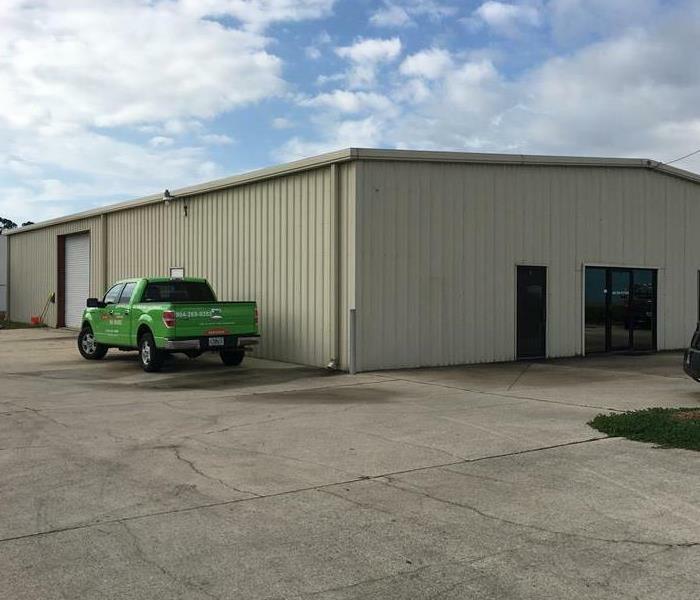 Learn how blending your entrepreneurial spirit with your interests in Flemming Land, FL, disaster recovery can prove a winning combination with SERVPRO. While buying into a franchise is good, what makes buying into a SERVPRO franchise great? Working under SERVPRO, franchisees get the benefit of being able to have their own, locally identified business. That means no big-box names - a big benefit as consumers look to connect more with businesses in their backyard rather than overseas. SERVPRO consistently ranks well in the Entrepreneur Franchise 500, which measures the quality of franchise operations based in part on how well they are run. This prestigious ranking is based on factors such as size and growth, costs and support to individual franchisees. SERVPRO ranks in the top 30 of this list due to its continued support for its certified local branches. A franchisee can’t do it all on his or her own. That’s why SERVPRO is committed to supporting its team. That means providing training opportunities and corporate expertise. Leadership has continuously made a goal of providing franchising with the tools to pursue their business goals and make their dreams reality. While owning a franchise can be a great way to start in business, owning a SERVPRO franchise can be a good way to stay in business. Learn more about the company franchise model and see if it could be a fit for you. A flood, tornado, storm or broken pipe can strike at any moment in Jacksonville, FL. One consequence of these events is water in the home. This causes damage to clothes, furniture, electronic devices, documents, and other items. Fortunately, there are steps you can take to clean and restore your valuables. The first step is to rinse everything with fresh water. Afterward, grab a brush or cloth and wipe your valuables using gentle wiping motions. This way you can avoid grinding the debris deeper into the object's surface. Air is your best weapon of defense when faced with a water damage emergency. It's best to air-dry your valuables indoors. This is especially important for photographs, books, documents, artwork, leather, and textiles. You want to keep them away from heat and sunlight. The intense heat will cause them to dry too fast, which results in the items buckling, warping or splitting. As a side note, these objects are very fragile when wet, so handle them with care. Mold growth develops on floors, baseboards, walls and other household surfaces. 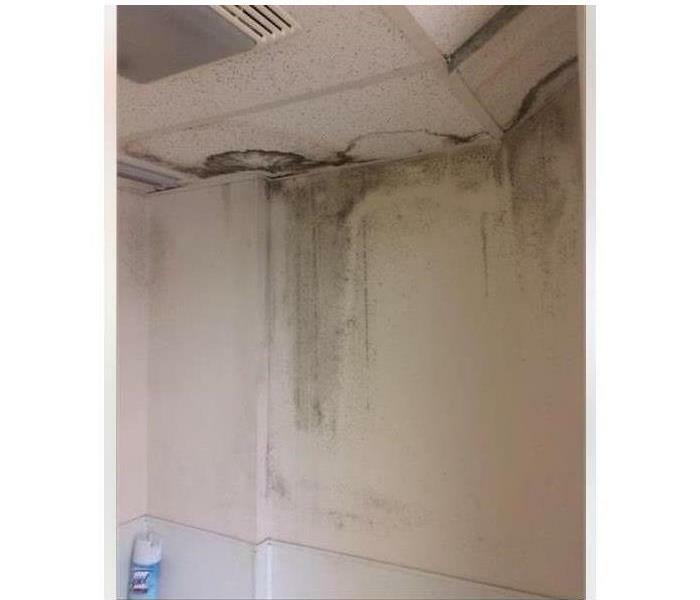 Even though you can clear this fungus with commercial disinfectants, the safest option is hiring mold cleanup and remediation specialists. Natural disasters and plumbing malfunctions can wreak havoc on your most treasured possessions. Don't let water in the home get you down. With the steps above, you can clean and preserve your valuables. Additionally, you don't have to tackle this task on your own. Rely on emergency restoration services in Jacksonville, FL, to get the job done for you. 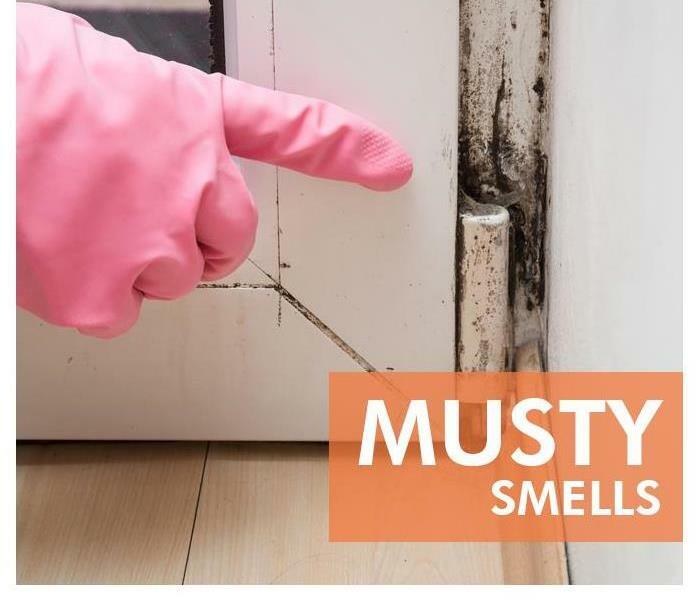 If you notice a musty odor or mold that is dark in color in your home in Jacksonville, FL, your home likely has black mold. However, you may notice that the mold reappears shortly after you thought it was gone. There are several reasons regrowth commonly occurs in homes. In damp environments, mold often thrives, and a leaky faucet or broken appliance can provide mold with the perfect environment to continuously regrow in one area. Residual water from flooding or other types of water damage also make regrowth more likely. Many homeowners find it helpful to contact mold remediation experts to assist in mold cleanup. Even if your home hasn’t been affected by flooding or leaks, high levels of humidity are often enough to cause black mold growth. In kitchens or bathrooms, mold is particularly likely to grow due to humidity. Though it isn’t always possible to avoid high humidity levels in your home, using a dehumidifier in areas that are particularly humid can sometimes help to prevent mold growth. Though many people may not consider the circulation of air to be a factor in mold regrowth, the airflow in a home can affect the rate at which it grows. Spores spread more easily in a home that has lots of air circulation, which can be caused by air conditioners or by windows being left open. Though it’s often not possible to eliminate air circulation in a house entirely, reducing the amount of air flow in the area that is prone to mold growth can be helpful. Black mold is most likely to regrow in an area when it has access to water and when there are high levels of humidity and airflow in a home. You can more easily prevent mold from spreading in your home when you understand the common causes of regrowth. SERVPRO’s commitment to pretesting makes the restoration and insurance process more efficient. Following a disaster in your home, you have many concerns. One of the most important elements of getting back to your normal activities is starting the insurance process and making sure your coverage takes effect and that you aren’t stuck with massive costs. When you hire the right disaster cleanup team, you can count on your claim going through in a timely manner. The best restoration teams use pretesting and other practices to give you the peace of mind you need. Evaluating the full extent of the disaster. Making a plan of how to move forward in the best manner possible. Determining what parts of the home professionals can repair and salvage and what parts they must replace altogether. You should make an insurance claim as quickly after the incident as possible. Cleanup and repair can be costly, but your coverage should take care of most of these costs. However, slow response from your disaster relief company can also bog thing down on the insurance company’s end. SERVPRO’s pretesting methods gets things in motion with the claims process and helps the insurance agent to his or her part to initiate coverage and payment. With pretesting, the insurance company has confidence that it has an accurate picture of the full extent of the damage at your Orange Park, FL home. This will ensure that the team does the work it should—not handling more or less than is necessary. As if suffering damage and loss from a fire or flood isn’t difficult enough, you don’t want to get stuck with a slow and costly claims process. SERVPRO’s commitment to pretesting makes the restoration and insurance process more efficient. A flood is devastating enough, but the aftermath can leave you with extensive cleanup, meaning that your business may experience lengthy interruptions during restoration. Mold growth becomes a serious concern after flooding, and it can also lead to the development of musty odors. Thankfully, there is a process to eliminate and prevent mold while simultaneously dealing with the smell. The first step to removing odor is to eliminate the excess moisture. You may need to rent or purchase pumps and air movers to help dry out the flooded areas. You can also purchase dehumidifiers and place them around to help minimize the humidity levels throughout the facility. While ventilation may spread mold growth, if you have controlled the level of moisture through the building, you can reduce this risk. Ventilation is essential to reducing odor. Air movement will help to dry everything out further. Flood water can harbor a lot of bacteria that in turn starts to smell. You can remove the contaminated elements of your business to reduce the odor. For instance, office chairs, carpets and drapes can hold moisture which leads to odors. Once water and debris are removed, you can begin the process of cleaning and disinfecting the space. However, floods caused by sewage loss may require a disaster restoration specialist in the Flemming Land,FL, area to properly clean and disinfect the space, this is generally in you and your employee’s best interest. 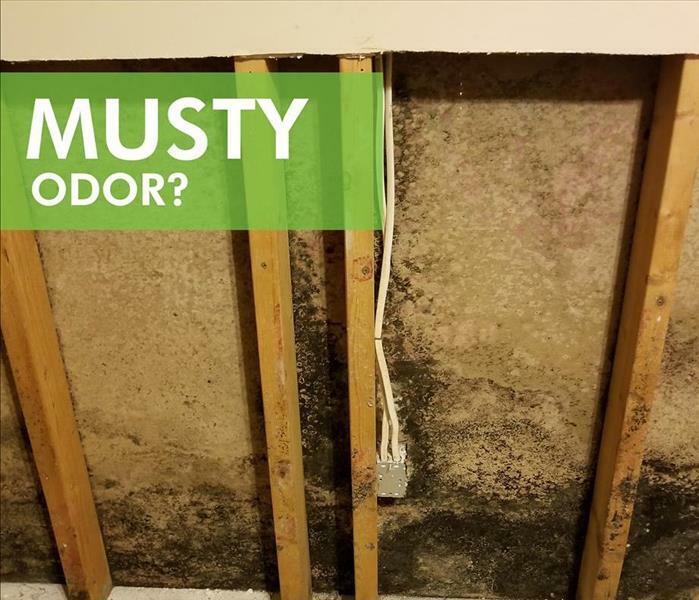 While mold growth is a concern after a flood, the odor that stems from stagnant water, bacteria and mold may be a more dire issue. As long as you act fast, mold development can be mitigated which means that the odor is the next critical problem for most business owners. Follow the steps above or contact a specialist to get your business back on track sooner rather than later. Although space heaters are great for adding some extra warmth to your home in Jacksonville, FL, when they are misused or not properly maintained, a burned space heater fire can occur. Although a fire restoration company can help with smoke cleanup and reconstruct your home if a fire does occur, taking some simple precautions can reduce the chance you will need to make a call in the first place. Always remember to adhere to these three tips whenever you decide to pull out your space heater. 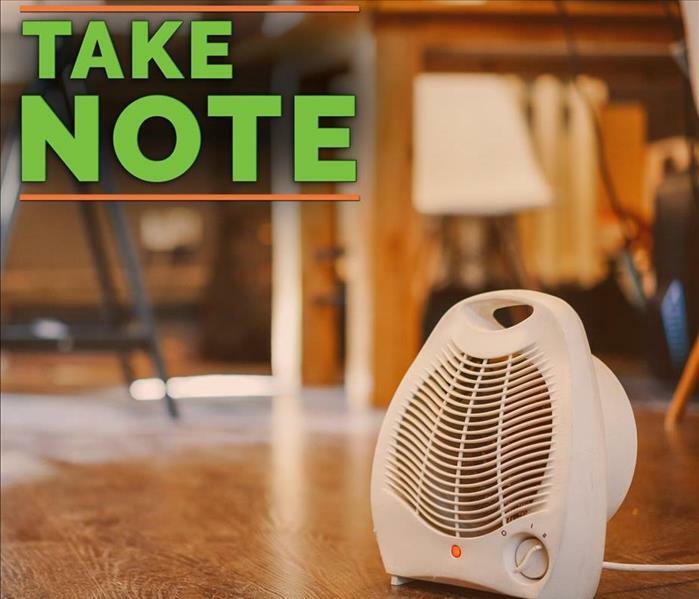 Place your space heater on a hard surface, like the floor, to avoid having it fall down and catch on fire. It is also very important that you don’t let flammable objects like blankets, curtains, towels, and clothing be within three feet of the heater. Also, keep your heater as far as way as possible from gas cans, paint, or matches. Never plug your heater into an extension cord or an outlet that’s already being used. This can quickly lead to a burned space heater. Also, regularly inspect your heater’s electrical components, including the cord, to observe for any damage. When unplugging, pull the plug straight out instead of pulling on the cord. If your pet or children were to accidentally bump into the space heater while running around or playing, a fire could quickly occur right next to them. Pets won’t understand the danger associated with the heater and are better left outside the room. Instruct your child to stay at least three feet away from the heater and never put one in a child’s bedroom. These three tips are important to remember for preventing a fire caused by a burned space heater! Don’t leave your space heater unattended, and make sure there are no hazards in sight every time you use it. Moisture is a key ingredient for mold growth. Because of frequent sink and shower usage, your bathroom may be a prime breeding ground for the fungus. To reduce the need for mold remediation inside your home, it’s important to minimize damp areas and promptly address water damage. To successfully accomplish these goals, you can employ five efficient mold prevention strategies. Damp surfaces often attract mold. After taking a bath or shower, you should wipe down the walls and bottom of the basin to eliminate pooled water. You should also dry the area around your sink daily. Taking a hot bath or shower may increase the humidity and cause condensation to develop. To reduce excessive moisture and alleviate this concern, you should utilize your bathroom vents during and after your bathing routine. A leaking pipe or water supply line can cause extensive water damage, which may increase the risk of mold growth. As a result, it’s imperative that you periodically inspect bathroom fixtures, including under sinks, and promptly fix any defective plumbing components. If a substantial leak occurs, you should quickly dry the area and remove saturated items from the site, including drywall, insulation and baseboards. Caulk can also prevent mold contamination. It may, however, crack or shrink over time. For this reason, you should routinely evaluate the area around your bathroom sinks, shower and tub and re-caulk as necessary. Tile may be an attractive feature on your shower’s walls and bathroom floor, but moisture can wreak havoc on the structure. To preserve tile work and help prevent fungus development, it’s essential to apply a waterproof sealant that prevents seepage through porous grout. 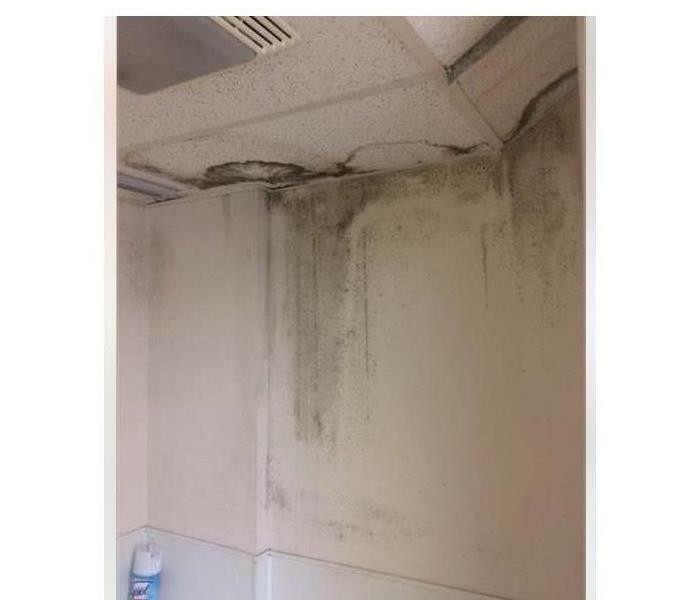 Reducing mold growth inside bathrooms may be less complicated than many homeowners in Orange Park,FL, anticipate. 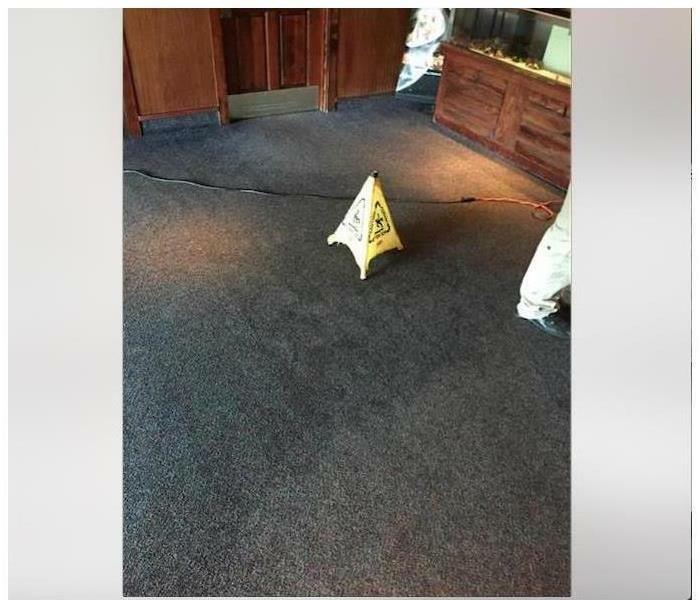 Controlling excessive moisture and completing routine maintenance are key strategies that may prevent water damage and spare you from extensive contamination requiring a thorough mold cleanup. Water damage is the second most common type of home insurance claim. Many homeowners are unaware of the extent of restoration necessary after a pipe burst or major leak. Here are four facts to help you make more informed restoration decisions. The average cost to remove clean or gray water from a 700 square foot basement is approximately $2,700. If the damage involves clean water from a broken water line, restoration may cost around $1,400. Expenses can range as high as $7,500 for cleaning up highly contaminated black water. Damage caused by flooding is not covered by most homeowners insurance policies. A pipe burst involving clean, treated Category One water is on the low end of the cost estimate because there is no need for cleaning and disinfection. Category One water can degrade to Category Two gray water within 72 hours and to highly contaminated Category Three black water within 120 hours. Areas exposed to contaminated Category Two or Category Three water must be disinfected. Water damage restoration professionals may pre-treat the area prior to cleaning and tearing out damaged materials such as drywall or carpet. Another round of disinfection is necessary afterward to prevent recontamination. Mold may start to grow within 24 to 48 hours after water damage. The risk of secondary damage may be reduced by quick action to mitigate primary damage. Start by removing standing water and damaged materials. Next, clean and disinfect the area, if necessary. 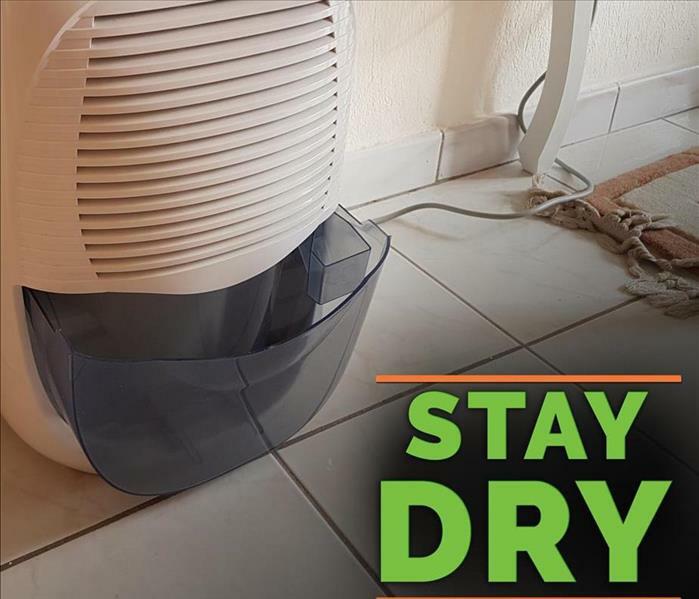 Promote drying with a dehumidifier and ventilation. These water damage facts may help homeowners make informed decisions in the aftermath of a pipe burst or other water damage at a residence in Jacksonville, FL . A mitigation and restoration company can address primary damage and limit secondary damage. 3/24/2019 - Is Buying In to SERVPRO Right for Me?